The DBPOWER T20 is a small mini projector built to display videos or pictures onto a flat surface such as a wall. It makes for a very nice home theater system able to hook and display from most any device with many inputs from USB to HDMI. 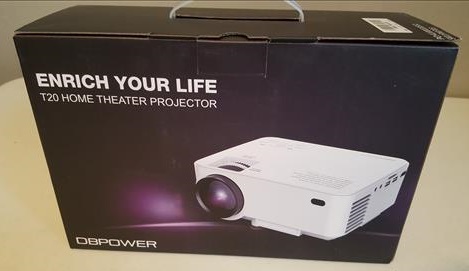 The package comes with the LCD mini projector, AV converter cable, instructions, HDMI cable, power cord, and remote control. The top of the unit has control buttons along with two adjustments on the lens to focus an image. 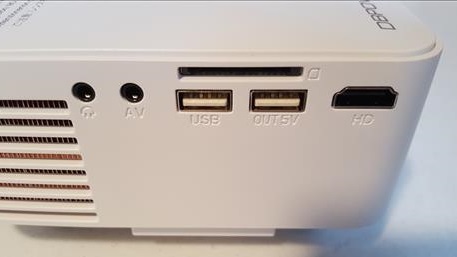 The side has ports for Audio, AV, USB, SD card slot, and HDMI. 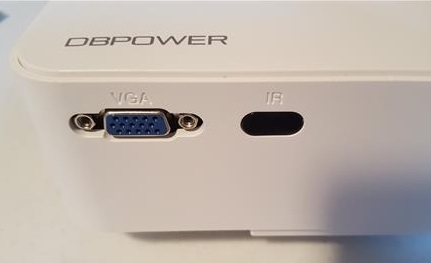 The back has a VGA port for any older laptops or computers. 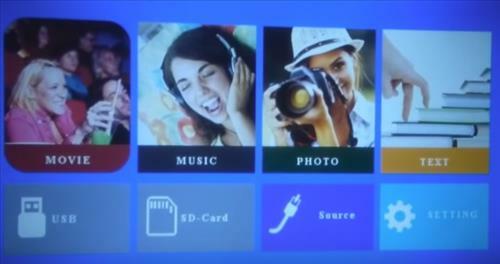 Powering on the unit the main menu gives quick access to the many differnt inputs such as USB, SD-Card, Source, and Settings. 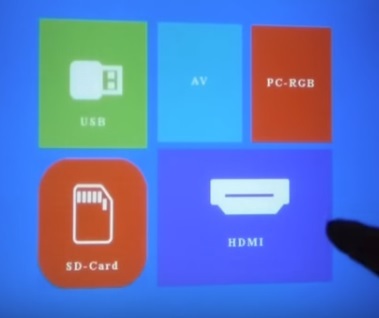 For example to see a device connected to the HDMI port go to Source and select HDMI. When using the unit be sure to have a white background to bounce the image on to as darker colors dont show as well. There are dedicated projection screens that can be bought but many simply hang a white sheet or similar. At 1500 Lumens of brightness the lights will need to be at least dimmed if not off to see the image well. This is to be expected with many projectors as most do not project well with the lights on. 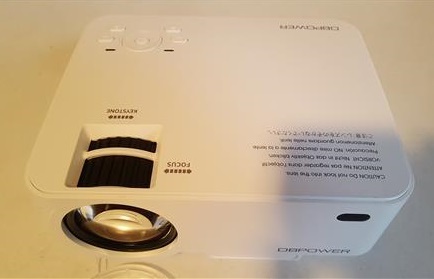 The DBPOWER T20 LCD Mini Projector is a good low cost unit that does what it is built to do which is project an image onto a wall. There are more expensive units with more features and brightness, but for a simple home theater experience it does well. How well a room is prepared will make a big difference of the image quality. Having a white flat surface along with windows covered and lights off will go a long way in making the viewing experience good. 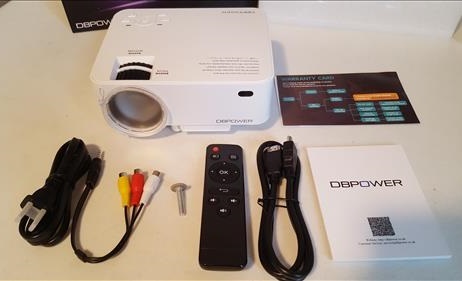 Anybody get this DBPOWER mini-projector to work for basic on/off and volume control with Amazon firestick’s new/4K remote?